The most recent rumors had it that the Lumia 1030 cancelled in the wake of the Microsoft’s completed acquisition of Nokia. And while we heard the Redmond’s giant is still prepping a proper Lumia 1020 sequel, we are still getting various reports of the “leaked” Lumia 1030. Here is the latest batch. 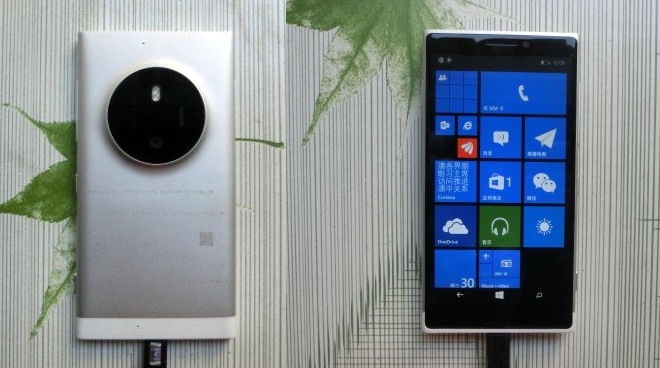 Yesterday we saw the Lumia 1030, model number RM-1052, leaks in live pictures and similar to Lumia 1020 design. The new info claims the Lumia 1030 offers a 1080p AMOLED display, a quad-core processor, and an improved PureView camera with a LED flash. Today, a company insider says the Lumia 1030 successor will indeed lack a xenon flash, in favor of a fourth generation short pulse LED flash. Not sure if this can compete with a xenon, but here is hoping it’s not too bad. The insider also spills the beans on the sensor – a 50MP one, bigger in size as well. There is no word if the pictured device from yesterday is the real deal, a pre-release and not final design or just a cancelled phone that will be replaced by something better. Anyway, the Lumia 1020 successor is expected to premiere at the MWC early next year, which isn’t that far away.